Despite of many troubles successfully organised by Finnair, I’m finally back in Sydney. 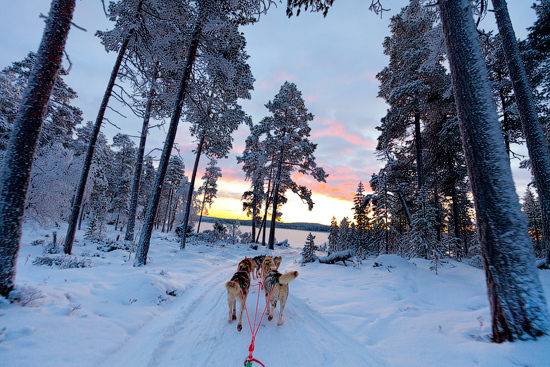 It was a great trip with almost full winter holiday experience – low temperatures, lots of snow, snowmobiles, skies, snowshoes, reindeers, dog sleds and northern lights. I’m not really happy with results from photography prospective, but, I promise, there will be a few images. P.S. From logistics prospective this trip wasn’t perfect – in addition to disrupted plans caused Finnair cabin crew strike, I’ve lost a bunch of LiIon batteries (including spares for Canon 5DMkII and 20D) – confiscated by Helsinki airport security. I didn’t know that LiIon batteries should not be in the checked-in baggage. So, keep it in mind and bring it with you on board.